Private tours which may be half, full or multiple days depending on the needs of the visitor. The services of experienced, well-qualified local driver - guides who speak English and other European languages and are selected for their professionalism and friendly personalities. 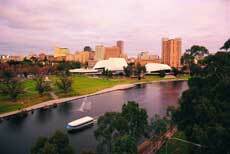 We will warmly welcome you on your arrival into Adelaide and on the way to your accommodation will introduce you to the charm of the city, including the best places for shopping and dining. Introducing the charming City of Adelaide, one of the best-planned cities in the world, proud of its relaxed lifestyle, colonial heritage and reputation as the arts capital of Australia. This personalised tour with an accredited driver guide is designed for visitors to introduce you to the history and heritage of Adelaide. Either "Adelaide Cultural Heritage" or our "On Track for the Ghan" walk can be incorporated in this tour. This half-day tour takes in scenic views of the picturesque Adelaide Hills, including the breathtaking views from Mount Lofty. Visit Cleland Wildlife Sanctuary where you can view at close quarters, the kangaroos, wallabies and emus in their natural habitat. Finally, the historic township of Hahndorf proud of its German heritage. Only half an hour from the centre of Adelaide, the Adelaide Hills offer visitors a delightful collection of attractions with a distinctly South Australian flavour. Village galleries featuring local crafts, Australian native wildlife, wine tasting at boutique cellar doors, historic homes, private and botanic gardens. All can be selected to suit your interests. One of South Australia's best kept secrets is close to the coast where the Mount Lofty Ranges reach the sea. 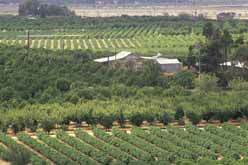 Mclaren Vale is the picturesque coastal district, home to many olive groves and delightful family owned wineries. Come and enjoy the pleasures, in the company of a specialist wine guide, of tasting at a number of well known family wineries. Australia's most celebrated winemaking region offers you a surprising variety of wine of superlative quality, excellent local cuisine in charming wineries with a backdrop of rolling hills and enriched by the generous hospitality and traditions of the European heritage . The Barossa Valley is renowned for producing some of the best table wines in the world - come experience and enjoy an array of delights to exite the senses. Just the tour for those who have never enjoyed or have just started to enjoy wine. A tour for those who want to find out that "bit more" about the basics of wine such as how it is made and why they like wine. Wine can be a mysterious and daunting subject at times and this easy to follow tour unlocks many of the myths and fables surrounding wine and its enjoyment. 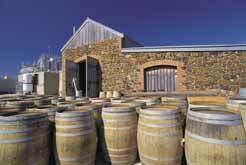 What better place to do this than in South Australia - the powerhouse of wine in Australia! The tour incorporates the National Wine Centre in Adelaide and the world-renowned Barossa Valley , the cradle of Australian wine. A further tasting at a premium boutique producer in the Barossa; Turkey Flat, Charles Melton or Langmeil. Colonel Light, founder of Adelaide once described the Mount Lofty Ranges which cradle Adelaide as "the Enchanted Hills". You will discover some of the charm of the hills before we set off for one of the best kept secrets - the Mclaren Vale wine region. Here you will participate in informed tastings, enjoy lunch prepared by an innovative chef using fresh, regional produce and visit the gallery of a well known Australian artist. South Australia is Australia's premier wine producing state, with the Barossa Valley the largest region in Australia and the Clare Valley the smallest. The Barossa and Clare Valleys are celebrated for their wines, local produce and rich cultural heritage. They provide a most interesting contrast in their landscape and scenery, as well as in their differing histories of European settlement. Over the last 30 years, the art of Australian Aboriginal people has undertaken an amazing journey from relative obscurity to the great exhibition halls of Europe and America. Learn the fascinating story of this artistic revolution as you view masterful works on canvas, bark, fibre and other media. Experience the exciting diversity of imagery and styles that reflect the many distinct cultures which together comprise Aboriginal Australia. Gain insights into 70,000 year history which continues to inspire and sustain Indigenous Australians today. 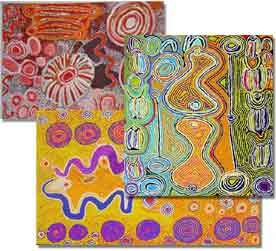 Your guide has had extensive experience working with Aboriginal artists in remote, as well as urban, situations. She was the founding manager of an art centre in the Kimberley region and, most recently, curator and exhibitions manager of a highly regarded Aboriginal-owned arts and cultural in Adelaide. Group bookings can be catered for. Feel at home in South Australia by joining your local hosts for lunch or dinner. A unique opportunity to learn more about the South Australian lifestyle. 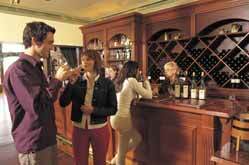 Enjoy with your hosts the best food and wine that South Australia has to offer in a relaxed home environment. Menus range from a 3 course formal dinner with wine to a traditional barbeque.